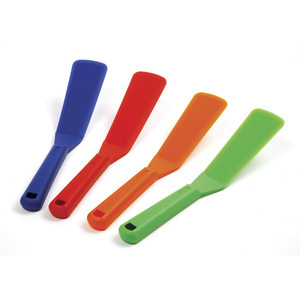 Strong and flexible, lift and serve nylon spatula. Beveled edges easily slip under food. Unique design lifts food easily for all type of cooking surfaces. High heat resistant to 500F/260C.